Agra is a city on the banks of the river Yamuna in the northern state of Uttar Pradesh, India. It is 378 kilometres (235 mi) west of the state capital, Lucknow, 206 kilometres (128 mi) south of the national capital New Delhi and 125 kilometres (78 mi) north of Gwalior. With a population of 1,686,993 (2013 est. ), Agra is one of the most populous cities in Uttar Pradesh, and the 19th most populous in India. The Summer Season: The summer season in Agra stretches from April to July and is associated with searing heat, accompanied by hot, blowing winds. The Monsoon Season: August to October is the monsoon season in Agra. Although the rainy season brings with it a new freshness and the temperature lowers down significantly, clogged and slushy roads can dampen some spirit. The Winter Season: The Winter season in Agra begins in October and extends roughly till March. This is said to be the best time to visit this historical city. 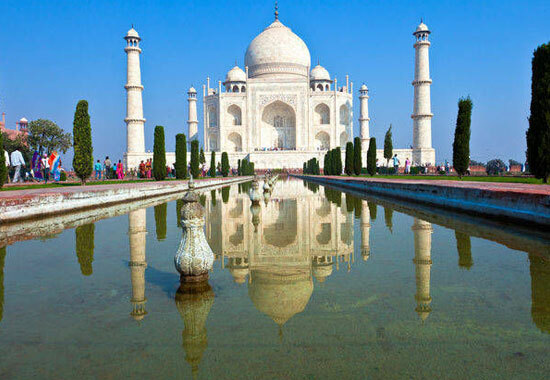 Taj Mahal: The most famous of the monuments of Agra, India is the TajMahal. TajMahal is a symbol of the devotion and dedication of love. TajMahal of Agra is a monument built by emperor Shah Jahan In the memory of her wife Mumtaz Mahal. TajMahal expresses the magnificence of Mughal architecture. The Taj has done wonders to Agra Tourism. Taj is a must in each one of the Agra packages offered by us. Agra to Jaipur is an interesting package option. 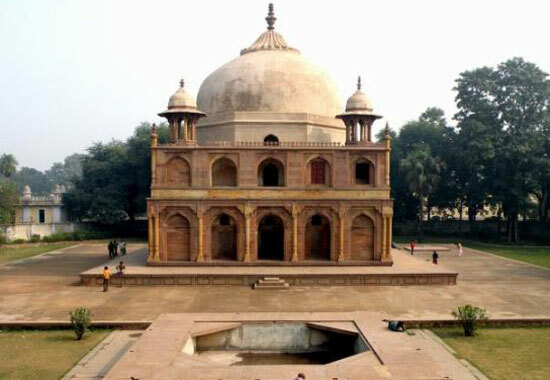 Itmad-ud-Daulah's Tomb:It is a tomb built with white marble in the typical Islamic style architecture. 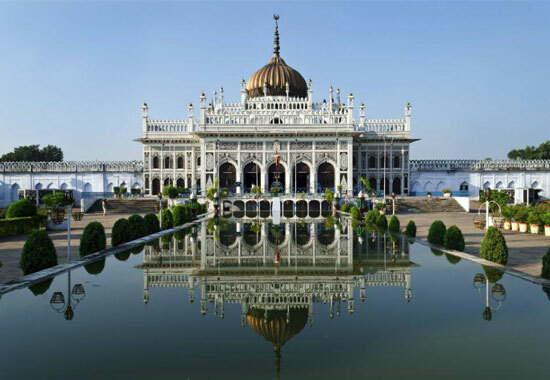 It was built by the Mughal Empress Noor Jahan in the memory of her father Itmad-ud-Daulah. It happens to be one of the must visit monuments of Agra. This monument of Agra is usually included in all the Agra packages. Travel from Agra to Jaipur is usually taken up by many tourists. Allahabad also known as Prayag is a city in the Indian state of Uttar Pradesh and the administrative headquarters of Allahabad District, the most populous district in the state. Allahabad has a humid subtropical climate common to cities in the plains of North India, designated Cwa in the Köppen climate classification. The annual mean temperature is 26.1 °C (79.0 °F); monthly mean temperatures are 18–29 °C (64–84 °F). Allahabad has three seasons: a hot, dry summer, a cool, dry winter and a hot, humid monsoon. Summer lasts from March to September with daily highs reaching up to 48 °C in the dry summer (from March to May) and up to 40 °C in the hot and extremely humid monsoon season (from June to September). The monsoon begins in June, and lasts till August; high humidity levels prevail well into September. Winter runs from December to February, with temperatures rarely dropping to the freezing point. The daily average maximum temperature is about 22 °C (72 °F) and the minimum about 9 °C (48 °F). Allahabad never receives snow, but experiences dense winter fog due to numerous wood fires, coal fires, and open burning of rubbish—resulting in substantial traffic and travel delays, but the city does not receive snow. Its highest recorded temperature is 48 °C (118.4 °F), and its lowest is −2 °C (28 °F). The meeting point of the Ganga, Yamuna, and the mythical Saraswati rivers, Sangam is around 7 km from Civil Lines. This is one of the most sacred places of the Hindu religion. It hosts the Maha Kumbh Mela (the largest gathering of Hindus) and Ardh Kumbh. At the point at which the brown Ganges meets the Greenish Yamuna, pandas (priests) perch on small platforms to perform puja and assist the devout in their ritual ablutions in the shallow waters. Boats are available for visitors. Near the Sangam is situated the Allahabad Fort built by Akbar in the AD 1583. Unrivalled for its design and craftsmanship in its heydays, the fort is now used by the army and only a part of it is open to the visitors. 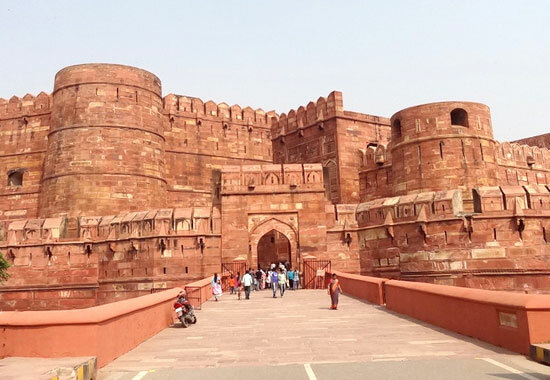 This huge, majestic fort has three magnificent galleries flanked by high towers. The visitors are allowed to see the Ashoka Pillar, Saraswati Kup (a well said to be the source of the river Saraswati), and Jodhabai Palace. The Patalpur temple and the much-revered Akshaya Vat (immortal Banyan tree) are also here. Other place to visit are Shankar Viman Mandapam, Mankameshwar Temple, All Saints Cathedral (Patthar Girjaghar), Minto Park, Allahabad University, Allahabad museum, Minto park, Muir College, Jawahar Planetarium, Chandra Shekhar Azad Park, and public library. Birohi is a village in Chhanvey Mandal, Mirzapur District, Uttar Pradesh State. 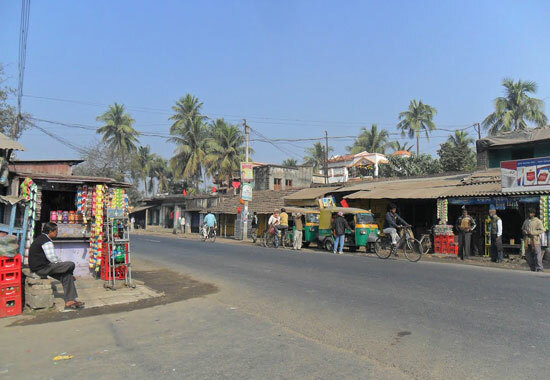 Birohi is located 5 km distance from its Mandal Main Town Chhanvey. Birohi is 13.1 km far from its District Main City Mirzapur. It is 240 km far from its State Main City Lucknow. According to Census 2011 information the location code or village code of Choukari village is 198554. Choukari village is located in Rasra Tehsil of Ballia district in Uttar Pradesh, India. It is situated 9km away from sub-district headquarter Rasra and 23km away from district headquarter Ballia. As per 2009 stats, Paharpur is the gram panchayat of Choukari village. The total geographical area of village is 34.94 hectares. Choukari has a total population of 895 peoples. There are about 122 houses in Choukari village. Rasra is nearest town to Choukari which is approximately 13km away. Delhi officially the National Capital Territory of Delhi, is a city and a union territory of India. It is bordered by Haryana on three sides and by Uttar Pradesh to the east. The NCT covers an area of 1,484 square kilometres (573 sq mi). According to 2011 census, Delhi's city population was about 11 million, the second highest in India after Mumbai, while the whole NCT population was about 16.8 million. Delhi's urban area is now considered to extend beyond the NCT boundary to include an estimated population of over 26 million people making it the world's second largest urban area. Delhi features an atypical version of the humid subtropical climate. The warm season lasts from 9 April to 8 July with an average daily high temperature above 36 °C (97 °F). The hottest day of the year is 22 May, with an average high of 38 °C (100 °F) and low of 25 °C (77 °F). The cold season lasts from 11 December to 11 February with an average daily high temperature below 18 °C (64 °F). The coldest day of the year is 4 January, with an average low of 2 °C (36 °F) and high of 15 °C (59 °F). In early March, the wind direction changes from north-westerly to south-westerly. From April to October the weather is hot. The monsoon arrives at the end of June, along with an increase in humidity. The brief, mild winter starts in late November, peaks in January and heavy fog often occurs. According to Euromonitor International, Delhi ranked as 28th most visited city in the world and first in India by foreign visitors in 2015. There are numerous tourist attractions in Delhi, both historic and modern. 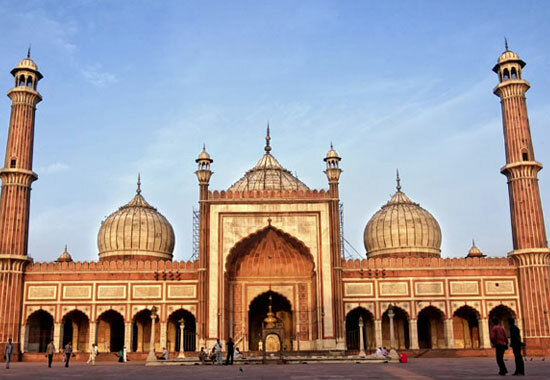 The three UNESCO World Heritage Sites in Delhi, Qutb Complex, Red Fort and Humayun's Tomb are among the finest examples of Indo-Islamic architecture. 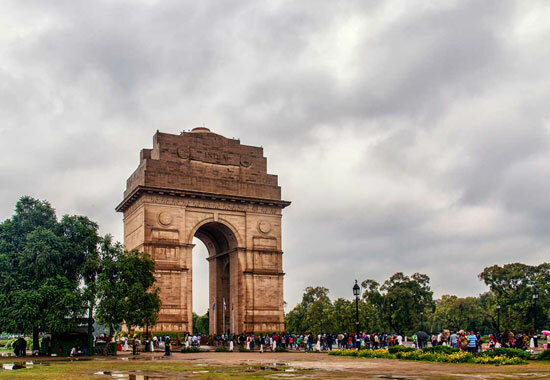 Another prominent landmark of Delhi is India Gate, a 1931 built war memorial to soldiers of British Indian Army who died during First World War. 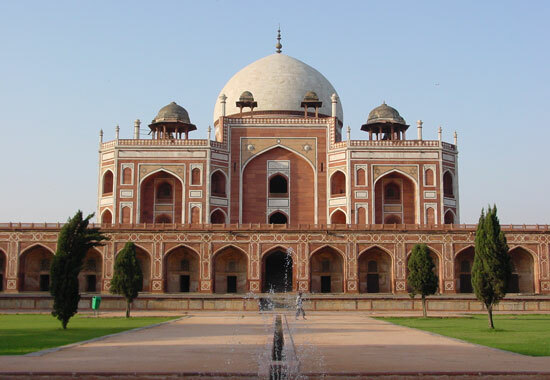 Delhi has several famous places of worship of various religions. One of the largest Hindu temple complexes in the world, Akshardham is a major tourist attraction in the city. Other famous religious sites include Laxminarayan Temple, Gurudwara Bangla Sahib, Lotus Temple, Jama Masjid and ISKCON Temple. Delhi is also a hub for shopping of all kinds. Connaught Place, Chandni Chowk, Khan Market and Dilli Haat are some of the major retail markets in Delhi. Major shopping malls include Select Citywalk, DLF Promenade, DLF Emporio, Metro Walk and Ansal Plaza. 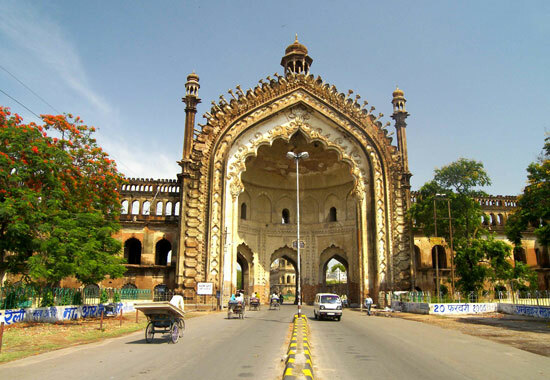 Lucknow is the capital and largest city of the Indian state of Uttar Pradesh. and is also the administrative headquarters of the eponymous District and Division. 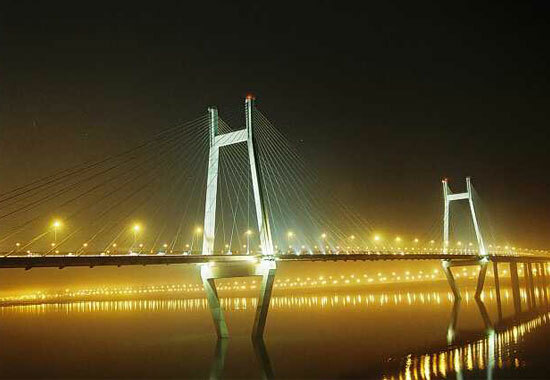 Lucknow is the centre of the twelfth most populous urban area of India. In North India, it is the second largest city after Delhi. Lucknow has a humid subtropical climate with cool, dry winters from mid-November to February and dry, hot summers from late March to June. The rainy season is from July to mid-September, when the city gets an average rainfall of 896.2 millimetres (35.28 in) from the south-west monsoon winds, and occasionally frontal rainfall will occur in January. In winter the maximum temperature is around 25 °C (77 °F) and the minimum is in the 3 °C (37 °F) to 7 °C (45 °F) range. Nawabganj Lake :Located at a distance of 40 kilometers form Lucknow is the Nawabganj Lake. It is a colorful bird sanctuary. There is a motel run by the Tourist Department. Kukrail :Fifteen kilometers from Lucknow is Kukrail, developed as a picnic spot by the Forest Department. There is a deer farm and a crocodile nursery. A children's park, cafeteria, and a rest house have also been built to facilitate the visitors here. One can see spotted deer, black buck, sambhar, and a variety of birds in their natural abode. Chinhat Picnic Pavilion. At a distance of 15 kilometers from Lucknow is the Chinhat Picnic Pavilion. There is a rest house by the side of Kathauta Lake. One can also visit the neighborhood Chinhat pottery units. Mathura is a city in the North Indian state of Uttar Pradesh. It is located approximately 50 kilometres (31 mi) north of Agra, and 145 kilometres (90 mi) south-east of Delhi; about 11 kilometres (6.8 mi) from the town of Vrindavan, and 22 kilometres (14 mi) from Govardhan. It is the administrative centre of Mathura District of Uttar Pradesh. 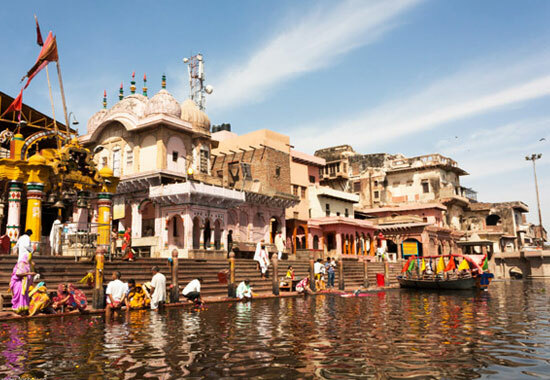 Mathura is a holy city for Hinduism, the world's third-largest religion. 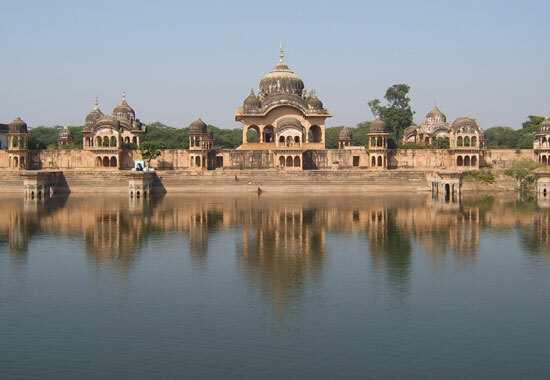 There are many places of historic and religious importance in Mathura and its neighbouring towns. The twin-city to Mathura is Vrindavan. 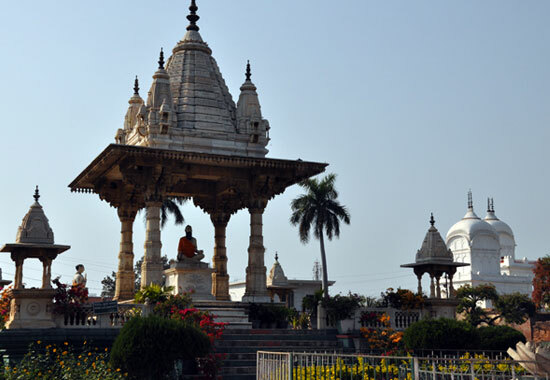 As the home of Krishna in his youth, the small town is host to a multitude of temples belonging to various sects of Hinduism proclaiming Krishna in various forms and avatars. Some places of interest are: Baldeo (Dauji Mandir), Lohwan Mata Mandir, Shri Ratneshwar Mahadev, Gopinath Maharaj Mandir, Keshav Dev Temple (Shri Krishna Janma Bhoomi), Vishram Ghat (Bank of River Yamuna), Shri Jagannath Temple Bhuteshwar Mathura, Prem Mandir, Vrindavan, Vrindavan Chandrodaya Mandir, Vrindavan, Mathura Museum, Shri Krishna Janmabhoomi etc. Rampur About this sound pronunciation is a city and a municipality in and headquarters of Rampur District in the Indian state of Uttar Pradesh. It was formerly known for its various industries, including sugar refining and cotton milling. Its library has more than 12,000 rare manuscripts and a fine collection of Mughal miniature paintings. Rampur, located between longitude 79°05' E and latitude 28°48' N, is in Moradabad Division of Uttar Pradesh, India. It is surrounded by district Udham Singh Nagar in north, Bareilly in east, and Moradabad in west and Badaun in south. Spread in area of 2,367 km2, Rampur is 192-meter above sea level in north and 166.4-meter in south. It is home to farms that cover long stretches of land. During rainy season just after a long period of rain the mountain ranges of Nainital can be seen in the north direction. 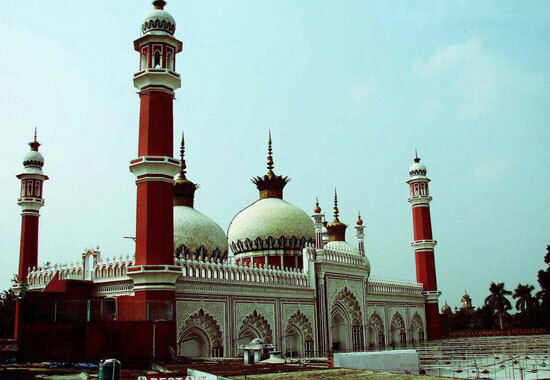 Jama Masjid: The foundation of Jama Masjid in Rampur was laid by Nawab Faizullah Khan. It was built at the cost of 300,000 at that time and it was further completed by Nawab Kalb Ali Khan. The area around the Jama Masjid became a center of attraction and a big market was developed around it, known today as the Shadab Market. A big jewellery market also lines the masjid known as Sarrafa. The shops were rented out to businessmen to meet the mosque's requirements. Hindus and Muslims both own these shops and customers belong to both communities. This shows communal harmony that exists in this area. Rampur Planetarium: State of the art planetarium is being established at Rampur. This will be India's first planetarium based on Digital Laser technology. The planetarium building is almost complete and equipments are being installed. The information will be directly fed by NASA. The gradual rise in temperature starts in the months of February and becomes more rapid by March and April unless checked by more humid easterlies. The local hot and gusty winds, locally known as 'loo'; result in hot and scorching weather. The condition is aggravated further by presence of meager relative humidity (40%). The district of the study does not show much influence of Himalaya which otherwise tend to lower the temperatures in the places nearby as in the case of Meerut and Gonda. Historical places: Mishrikh is a religious place 10 km from Namisharanya. Maharishi Dadhichi Asharam and Sitakund are holy pilgrimage of this place. Pachhakhare BABA is near to Nyamupur kalan very famous temple of Shiv, Hanuman, and Durga. Chakratirth is the holiest in the Naimisharanya. 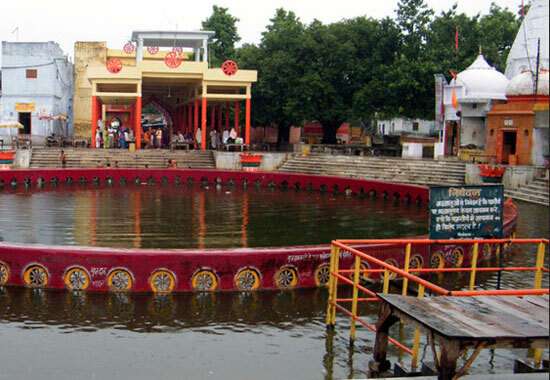 It is said that Lord Vishnu's chakra fell on this pious land and created a round "Kund" which is named Chakra Tirth. 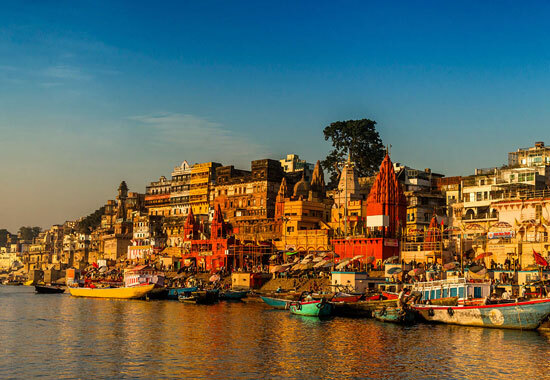 Varanasi also known as Benares, Banaras or Kashi is a city on the banks of the Ganges in the Uttar Pradesh state of North India, 320 kilometres (200 mi) south-east of the state capital, Lucknow, and 121 kilometres (75 mi) east of Allahabad. 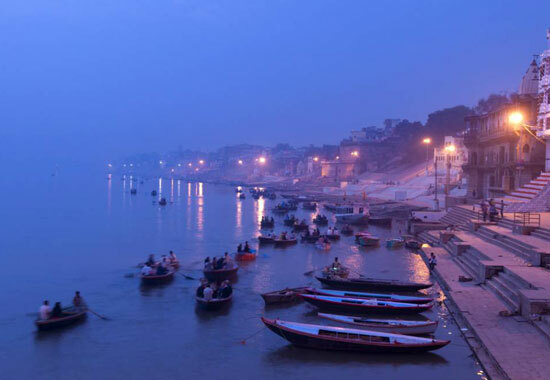 Varanasi experiences a humid subtropical climate with large variations between summer and winter temperatures. The dry summer starts in April and lasts until June, followed by the monsoon season from July to October. The temperature ranges between 22 and 46 °C (72 and 115 °F) in the summers. A tourist to Varanasi must make it a point to visit the Ramnagar Fort and Sarnath, both situated on the outskirts of this city. The former, situated on the opposite bank of the Ganges, is the residential palace of the former Maharaja of Varanasi. The hall of public audience (Durbar Hall) and the royal museum housing collections of palanquins, elephant saddles, arms, furniture, costumes, etc., are of great interest. At the other end of the city is Sarnath. Here in the fabled deer park, where the Buddha preached his sermon enshrining the principles of his teaching into laws. There is a stupa and a large complex of ruined monasteries. Nearby also stands the Ashoka Pillar commemorating the Mauryan emperor's visit to the place more than 2,000 years back. The archeological museum located nearby holds a rich collection of items belonging to the Kushan and Gupta periods as well as from the Ashokan era. One may also undertake quite a few enjoyable excursions from Varanasi. The fort of Chunar, about 37 km away, is famous for its close association with the Afghan ruler Sher Shah Suri. Kusumi Forest (8 km) and the Rajdari and Deodari Falls in the Chandraprabha forest (70 km) are beautiful picnic spots. Vrindavan is a town in the Mathura district of Uttar Pradesh, India. 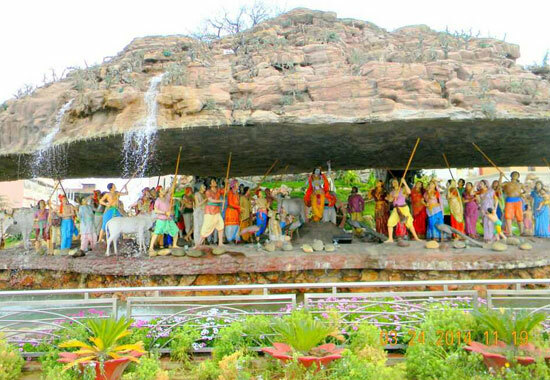 It is the site where according to Hinduism, Lord Krishna spent his childhood days. 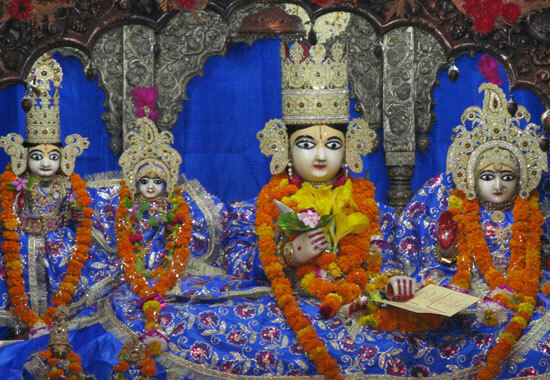 The town is about 11 km away from Mathura, Krishna's birthplace on the Agra-Delhi highway (NH 2). The town hosts many temples dedicated to the worship of Radha and Krishna and is considered sacred by Vaishnavism. 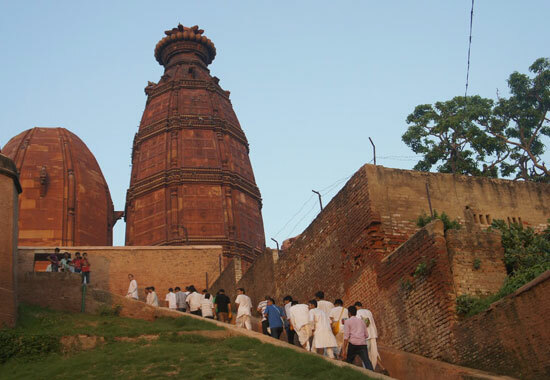 Madan Mohan Temple, located near the Kali Ghat was built by Kapur Ram Das of Multan. One of the oldest temples in Vrindavan, it is closely associated with the saint Chaitanya Mahaprabhu . The original deity of Lord Madan Gopal was shifted from the shrine to Karauli in Rajasthan for safe keeping during Aurangzeb's rule. Today, a replica of the original (deity) is worshiped at the temple. Meera Bai Temple, located at southern side of Shahji temple near Nidhivan and is dedicated to Meera. Some hagiography state she miraculously disappeared by merging into a deity of Krishna at Dwarika in 1547. While miracles are contested by scholars for the lack of historical evidence, it is widely acknowledged that Meera dedicated her life to Hindu deity Krishna, composing songs of devotion and was one of the most important poet-sant of the Bhakti movement period. Garud Govind Temple is located on the turn of NH-2 to Vrindavan in Chhatikara village. Ayodhya also known as Saket, is an ancient city of India, believed to be the birthplace of Rama and setting of the epic Ramayana. 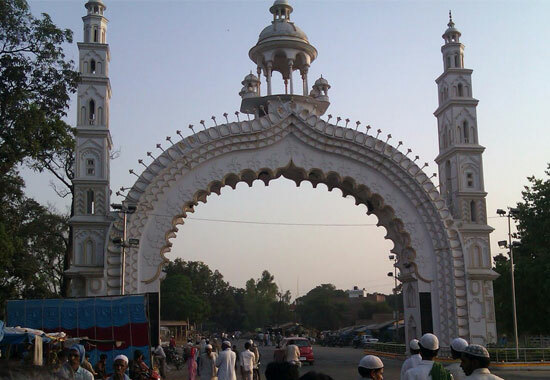 It is adjacent to Faizabad city at the south end in the Indian state of Uttar Pradesh. Ayodhya has a humid subtropical climate, typical of central India. Summers are long, dry and hot, lasting from late March to mid-June, with average daily temperatures near 32 °C (90 °F). 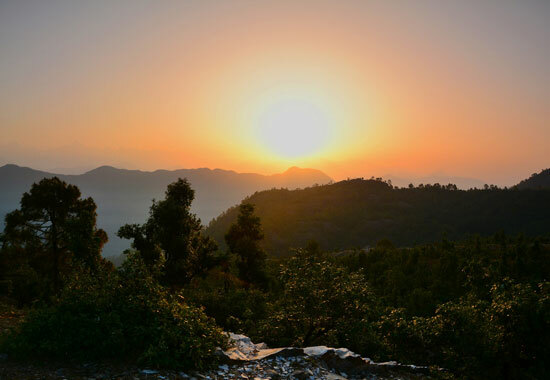 They are followed by the monsoon season which lasts till October, with annual precipitation of approximately 1,067 mm (42.0 in) and average temperatures around 28 °C (82 °F). Winter starts in early November and lasts till the end of January, followed by a short spring in February and early March. Average temperatures are mild, near 16 °C (61 °F), but nights can be colder. Nageshwarnath Temple : The temple of Nageshwarnath was established by Kush, son of Rama. Legend has it that Kush lost his armlet while bathing in the Sarayu, and it was retrieved by a Nag-Kanya who fell in love with him. As she was a devotee of Shiva, Kush built her this temple. It was the only temple to survive when Ayodhya was abandoned until the time of Vikramaditya. While the rest of city was in ruin and covered by dense forest, this temple allowed Vikramaditya to recognize the city. The festival of Shivratri is celebrated here with great splendor. And Others interesting places of Angad Tila, Shri Rama Janaki Birla Temple, Tulsi Smarak Bhawan, Ram ki Paidi, Kaleramji ka Mandir, Datuvan Kund, Janki Mahal, Gurudwara Brahma Kund, Amawan Temple etc.